and deliver a modern digital workplace experience. Drastically reduce calls to the service center and deliver a modern digital workplace experience. 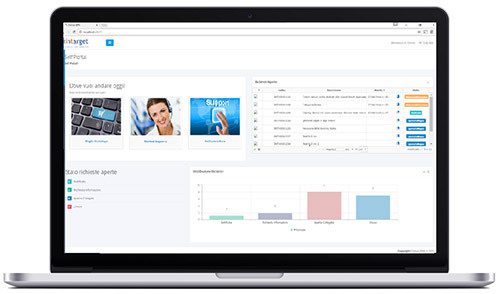 Drastically reduce calls to the service center and deliver a modern digital workplace experience with the intuitive self-service Portal that allows employees to search news and policies, log and track their cases, and book appointments with HR. Keep your confidential data safe and audited with the necessary security controls. An HR service catalog presents employees with pre‑defined services such as benefits or employee relations items. Once requests are submitted through the HR service catalog, cases are automatically assigned to a designated human resources specialist or team for fulfillment. Integrated reporting provides insight into volume, types of requests, and individual workloads so that HR management can align services and resources, and identify opportunities to improve both services and HR operations. Layout like e-commerce, so easy to use for any user. Accurate profiling of access: everyone can access only what he is allowed to. Use Omnia social features to find support/tutoring.